Adults are challenged in this competitive boxing program. Class participants use boxing as a form of exercise and social involvement. The Fitness Boxing program is designed for both adults and students wanting to achieve increased strength and stress relief through recreational boxing. The class offers multiple fitness and wellness benefits to students of all ages. Our kickboxing is a fun atmosphere, but not a form of kickboxing known as cardio kickboxing. You will see an increase in stamina, flexibility, strength, and self-defense skills as you master the various combined elements of boxing, karate, and muay thai training. Our Personal Training program is designed to give you the personal attention and motivation you need to become more physically active. Each program is personally designed and focuses on 4 elements: cardio fitness, muscular strength, endurance, and flexibility. 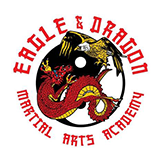 The Adult Karate class offers students of all ages training in this traditional martial arts form. Fancy equipment… you don’t need that to get into great shape. Body weight exercises are the best. We also incorporate, bands, balls, kettle bells, dumbbells, etc… giving you a total body workout. You are motivated by the best to reach your best.